COLUMBUS, Ohio – A virus discovered last year in a rare form of skin cancer has also been found in people with the second most common form of skin cancer among Americans, according to researchers at the Ohio State University Comprehensive Cancer Center - James Cancer Hospital and Solove Research Institute. The researchers examined tissue samples from 58 people with squamous cell carcinoma (SCC), a highly curable form of skin cancer that is expected to affect more than 200,000 Americans this year. They identified the virus in more than a third of the patients and in 15 percent of the tumors tested. In addition, all of the virus found in tumor cells had a mutation that could enable the viral DNA to integrate into the DNA of the host cell. “This is indirect evidence that the virus might play a role in causing some cases of squamous cell carcinoma,” says principal investigator Amanda E. Toland, assistant professor of molecular virology, immunology and medical genetics and a researcher with the Ohio State University Comprehensive Cancer Center - James Cancer Hospital and Solove Research Institute. The findings are published in a recent issue of the Journal of Investigative Dermatology. The virus was first discovered in patients with Merkel cell carcinoma, a rare, aggressive skin cancer that occurs mainly in the elderly and people with a suppressed immune system. The people in the new study all had a healthy immune system. 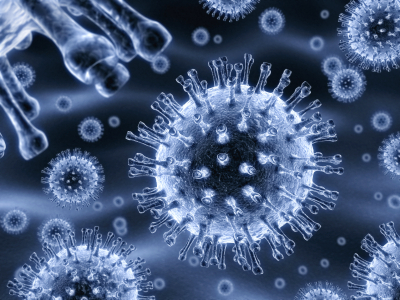 To learn if people with SCC harbored the virus, Toland, working closely with first author and graduate research associate Amy Dworkin and Ohio State pathologists O. Hans Iwenofu and Sara B. Peters, examined DNA samples from SCC tumors, from normal-appearing skin adjacent to the tumor, when available; from white blood cells, and from cells washed from the mouth. The investigators detected the virus in 26 of 177 SCC samples, 11 of 63 adjacent-skin samples, and one sample from a mouthwash. They found no viral DNA in any of the blood samples from 57 patients. In all, 21 of 58 SCC patients, or 36 percent, tested positive for the virus. By sequencing the viral DNA from 31 normal and tumor samples, the researchers showed that the same mutation was present in all the viruses tested from tumors, and in 60 percent of the viruses tested from adjacent healthy-looking tissue. “That suggests that the virus may develop a mutation that causes it to integrate into host-cell DNA, and, therefore, may play a role in causing the cancer,” Toland says. Next, Toland wants to test normal skin in healthy individuals to learn how common this virus is in people generally and to learn whether the virus actually integrates with the host DNA. “If it proves to be a cancer-causing virus, and if it proves to be common in the general population, it might be something we should begin screening people for,” she says. Funding from the American Cancer Society supported this research. Ohio State researchers Stephanie Y. Tseng and Dawn C. Allain were also involved in this study. The Ohio State University Comprehensive Cancer Center-James Cancer Hospital and Solove Research Institute (www.jamesline.com) is one of only 40 Comprehensive Cancer Centers in the United States designated by the National Cancer Institute. Ranked by U.S. News & World Report among the top 20 cancer hospitals in the nation, The James is the 180-bed adult patient-care component of the cancer program at The Ohio State University. The OSUCCC-James is one of only five centers in the country approved by the NCI to conduct both Phase I and Phase II clinical trials.